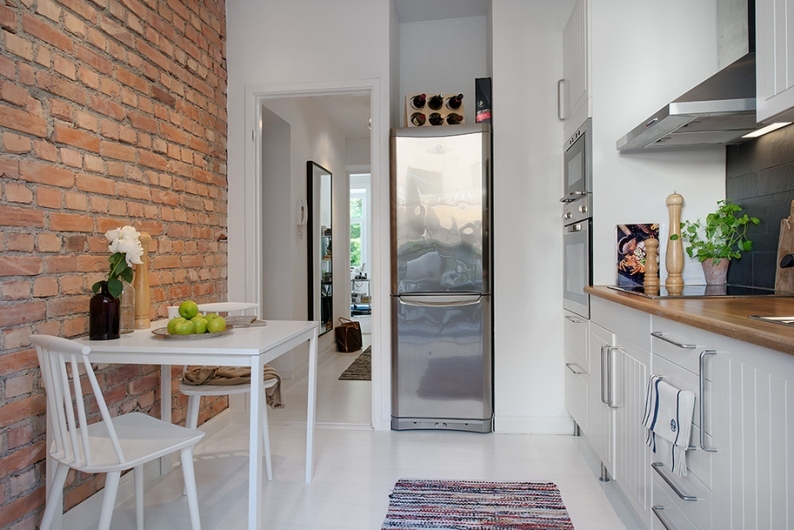 Design - perfect, practical side - none. 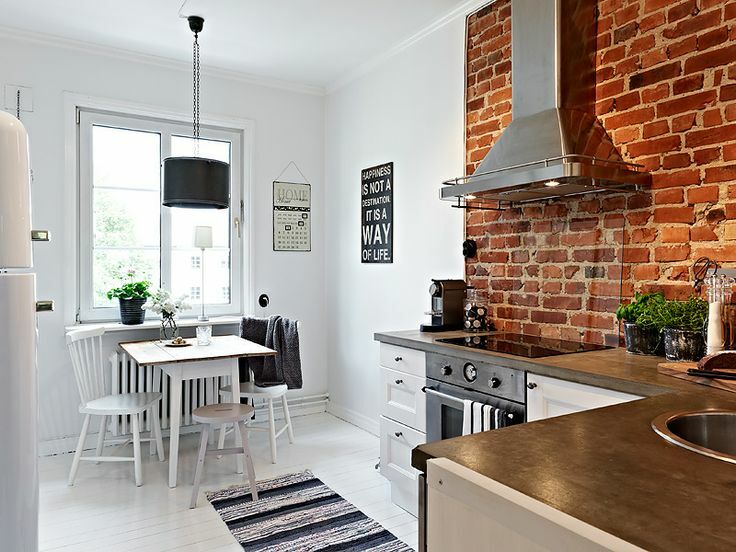 Red bricks in the kitchen mostly appears in Scandinavian style interior. 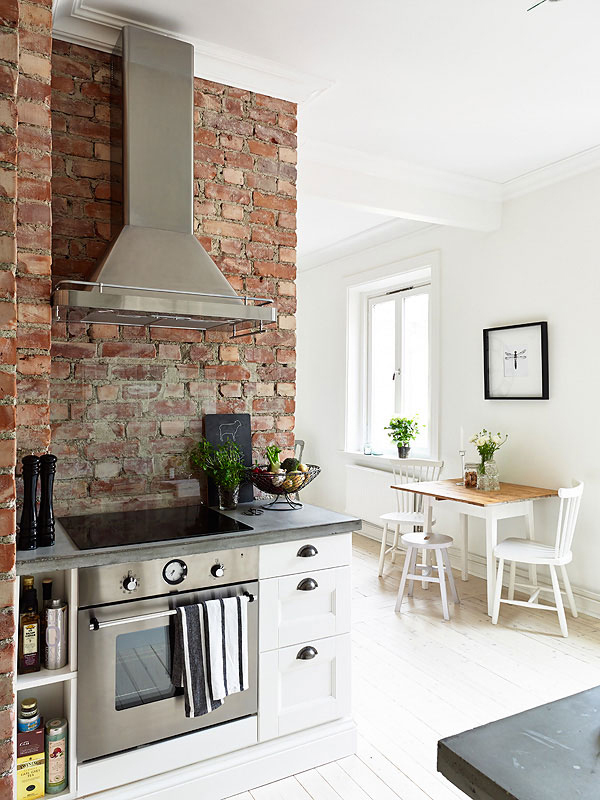 Well, surely bricks are used in classic style interior but they are a little bit different - bricks are smooth, in the same shape and not very interesting for me personally. 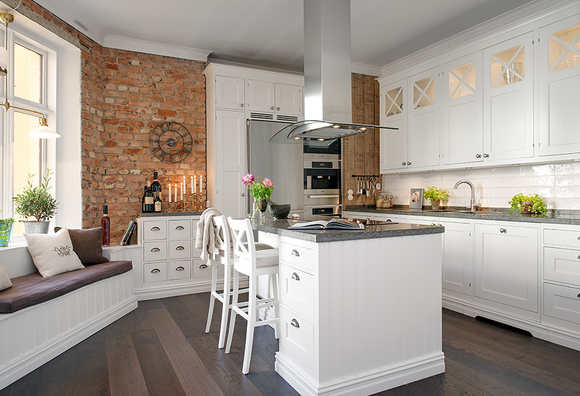 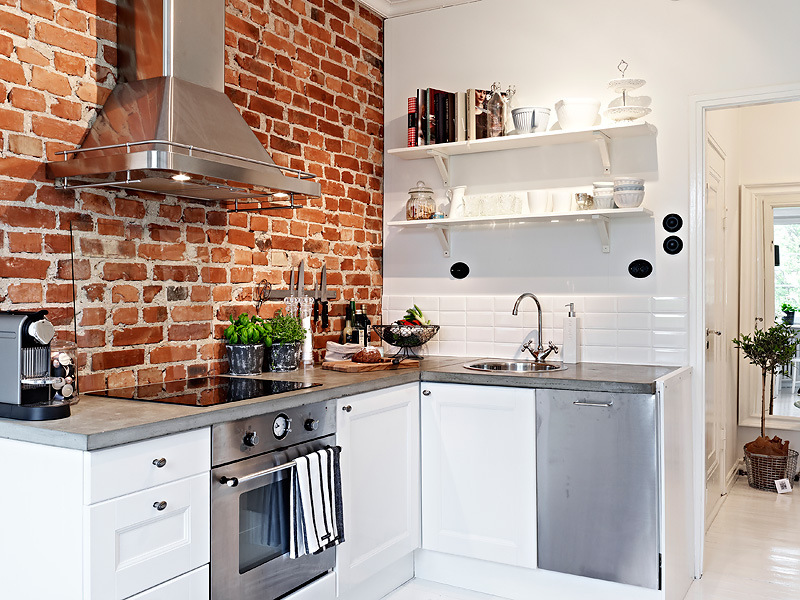 In Scandinavian kitchens bricks are amazing - rough texture, every brick is different and individual. 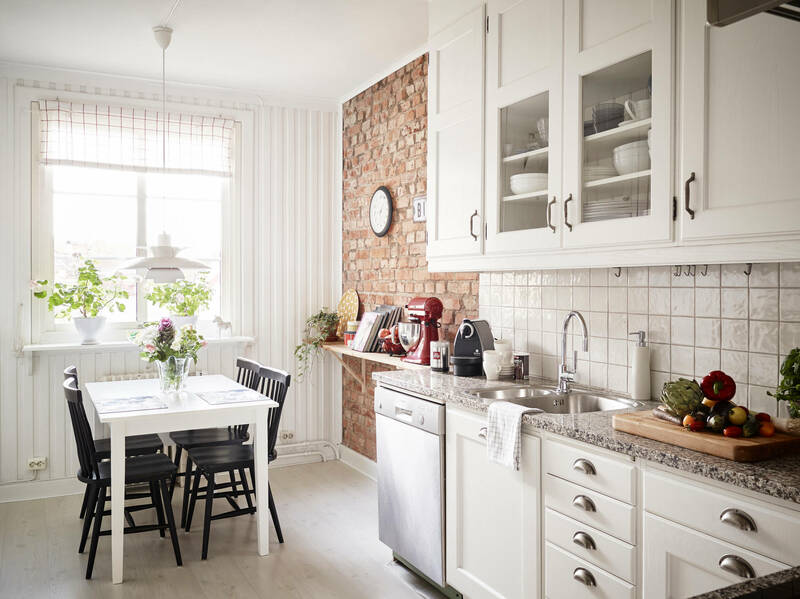 If red bricks are used in cooking zone, there's a danger to splash the wall, so I advice you to cover the bricks with glass - in this case glass is almost invisible. 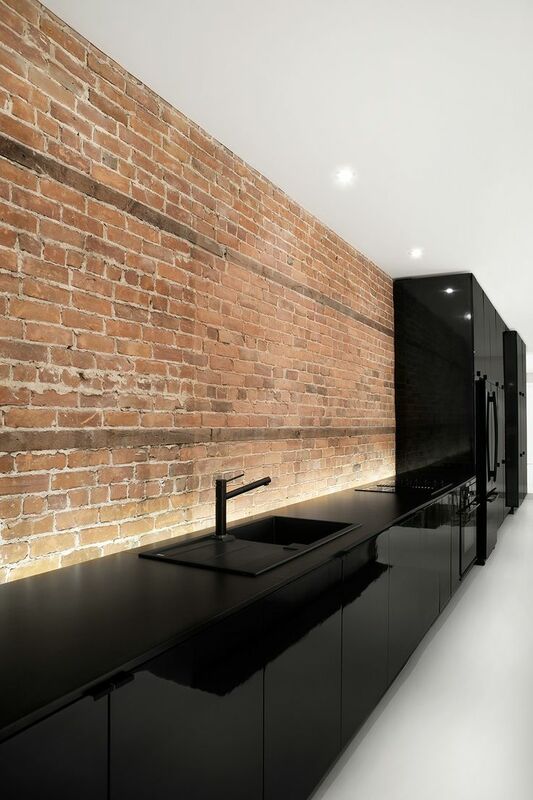 Dependent on brick's color intensity the mood of area is always different. 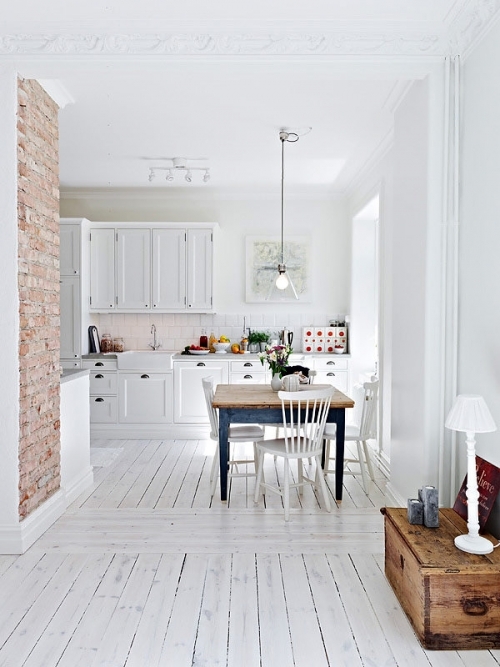 I suppose you've already noticed that white kitchen furniture fit the red bricks perfectly. 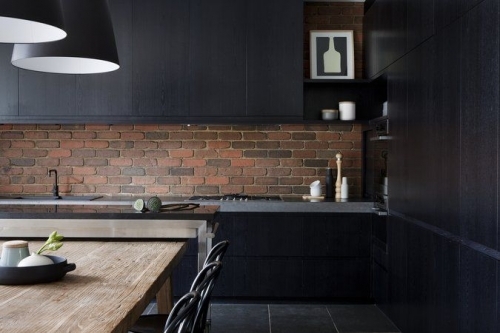 Black furniture also look great but this color combined with red bricks looks more luxurious and of course not so bright and light. 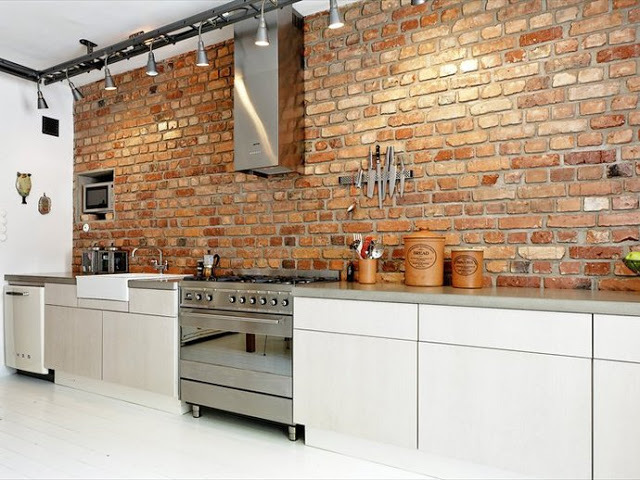 This kitchen looks perfect in a design look, but there's no practical interior at all. 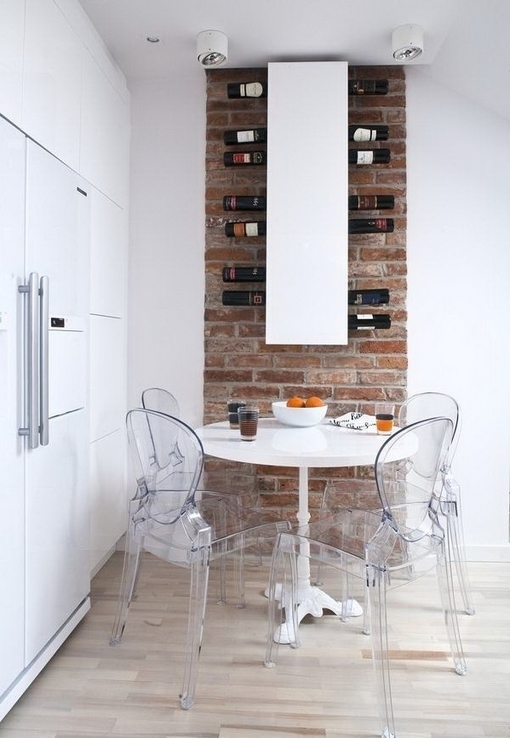 That's an idea for wine storage!